Firstly, the light of it all. Lines and Stars Magazine reads like stars on a wine-skied night, small and dim but beautiful. The tone of each poem is eerie, as the title Ghost Town would suggest. That is to say, the words haunt their reader beyond the page. However, like the stars it is difficult to distinguish them. Though each of the seven poems in Lines and Stars' collection Ghost Town are strong, they are often unrecognizable among the others. The summer/ fall 2015 issue of Lines and Stars magazine features seven poems from an array of writers. Claire Hurley, who writes of her studies in her poem, "Oxford," is an established but still budding poet. Richard Luftig, a former professor, writes of bittersweet nostalgia in "A Box of Old Letters." 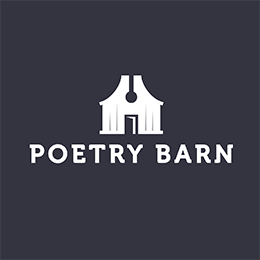 Each poem is very strong individually, though the juxtaposition of so many ghostly poems creates an echo, the themes, the tones becoming repetitive. The most important things these pieces have to offer is the visceral, arresting emotion conveyed throughout the magazine. Though the emotion that is delivered seems narrow, it is strong. More so than credentials or form, the poetry here is from the heart, however broken it may be. In its nine years, the magazine has released fifteen issues. Ghost Town, Lines and Stars' summer/fall 2015 issue has only seven poems. They are each free verse, contemporary, and leave readers a bit softer after they read it than when they began. The subjects range from finding a box of letters to a story of sleeping on your childhood bed with someone else. However beautiful, the works seem confined; a bit too singular in setting and perspective. Each poem in this edition seemed to deal with the loss or lack of love. This of course, is powerful, but by the end of the magazine the reader may be left exhausted and lovesick. The other works in the collection seem to blur, the sentiments and voices become too similar throughout the issue that it becomes difficult for the audience to fully absorb each piece as an original. This could be easily remedied through a greater deal of diversity in the magazine. The issue’s debut poem specifically, “Great Basin” by Samuel Eddington, reads more as a setting description than a poem. The words sound pretty together, definitely. But the end line, “In praise of something outside of themselves — the sunlight, the fire.” doesn’t leave enough of an impact on the reader as the rest of the poem would suggest it could. The opening line “The radio crackles like something burning, /snatches of gospel, fragmentary hallelujahs/through the smoke” deliver promises unkept by the end of the poem. Potential unmet. This seems to be a pattern throughout the issue. The poems are good, but unfortunately they can’t hold enough larger meaning to mirror their beauty and its potential. The magazine would benefit from length, the clarity and extra impact it can carry. The poem “Sprout” is quite short, and could also benefit from length and clarity to add more impact to the magazine. The basis of concept and language is quite compelling, however the poem ends without much significance to the reader. It’s opening line demands attention. “Arrangements are cleared away/by cemetery workers April first.” However, this unfortunately becomes the entire basis of the poem, as the lines following don’t always compare in their intensity. The first line is constructed so carefully that the rest of the poem is narrow by comparison, no heartbreak follows what the first line initiates. The piece itself is beautiful; but unfortunately this poem among others in Ghost Town become almost forgettable, not because of the poem’s merit, but because of the poetry collection as a whole. Through the collocation of so many similar pieces, they all become one continuous stream of consciousness. The poetry is weakened by the magazine’s setup. Though in the light of fairness, the magazine is only a piece of Lines and Stars, as it is published by Lines and Stars Press. Lines and Stars provides a platform for emerging poets to publish their work. Every year, the Mid- Atlantic Chapbook Series adds another edition. This chapbook is to be a poet's first chapbook length publication, emphasizing the emergence of new voices. The sounding of the silent. Such is one of the most respectable aspects of Lines and Stars Press. The esteem held in growth here is rare. The lines cross. Aside from poetry and prose, the magazine does extend into reviews and occasional interviews. Though, stemming from the limitations, these are often from writers that are local to Lines and Stars' origin in Washington DC. The journal’s pieces themselves are undeniably dynamic. But perhaps not as seasoned as more established journals. Despite its worth, Lines and Stars magazine remains quite a small selection of works, only accepting a handful of poems for publication though variation would add intensity to the reader’s experience. Accepting a larger breadth of work would provide more variety, and hopefully more strength in the magazine; because as is, the Ghost town edition remains hauntingly unsatisfying. A line from “A Box Of Old Letters” becomes rather appropriate, stating the character is “pleading/ for a letter, some word to expel the fears/...that grew with each passing/mile.” We are left wishing for something that isn’t there, but perhaps not in the way intended in an issue titled “Ghost Town”. What redeems Lines and Stars is their attention to their contributors. Each artist is designated a page with their biographies and a list of their works in the magazine. In fact, the contributors section is twenty percent of the entire website. The contributors help to combat the magazine’s limitations, hailing from DC, national, and international regions. Lines and Stars contributors have won national poetry prizes and others are finishing their college educations. The writers mirror the readers, perhaps, each refining and developing their craft, as this magazine would be suited well for young and emerging artists. Those beginning to find and develop their own voices. The poems in Lines and Stars are progress in real time, an artist establishing their individual voice, vocation, etc., though it remains unpracticed. As the magazine stands now, it is so insistent upon the smallness it becomes hard to access. The audience becomes spectator, looking in on a fish bowl that may be too small to fit in. The poetry, though limited, is tender enough to be redeemed. Something so precious can never quite be condemned.